This brand new home is so spectacular, expert builders, Level Homes, chose it as their 2016 Parade Home in Brightleaf at the Park in Durham. The new floor plan, the Montgomery, boasts five spacious bedrooms, including a first floor guest suite, three full bathrooms, and a large bonus room! Not only is this sizable 2,759 square foot home gorgeous throughout, but it is also set in the family-friendly community of Brightleaf at the Park. Residents here are afforded the luxury of membership at Brightleaf’s resort style clubhouse. The amenities include a Jr. Olympic size pool, zero-entry pool, kiddie pool, lighted tennis courts, 24-hour fitness center and playground. The most popular room in any home is the kitchen, and 1039 Laredo Lane delivers! 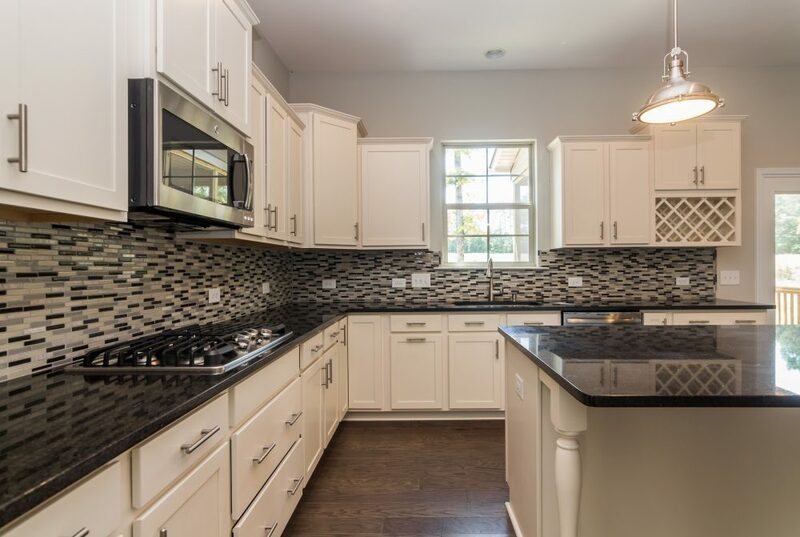 Featuring a stunning gourmet kitchen, this new home consists of stainless steel appliances, granite countertops, a sleek tile backsplash, and a large center island for prep work or homework! With pristine hardwoods running throughout the main living areas, this lovely home is ideal for family gatherings and entertaining. The living room is completely open to the kitchen and breakfast nook. This bright and sunny living area, featuring a cozy marble fireplace, also has direct access to a much sought-after screened in porch. Just walk out the back door and enjoy your screened-in porch with ceiling fan and fenced-in backyard! Your family and friends will love it! The outdoor living space also highlights Brightleaf’s appreciation of nature with an abundance of green space and nature trails throughout the community. 1039 Laredo Lane is listed at $329,900. We welcome you to come for a tour and visit the Brightleaf community. An exquisite combination of luxury and functionality perfectly describes the popular Hayes floor plan by expert builders, Drees Homes. Available in the much sought-after community of Brightleaf at the Park, this beautifully crafted home can be built starting as low as $365,700. Drees Homes specializes in creating your ideal home, including the heart of the home, the kitchen. 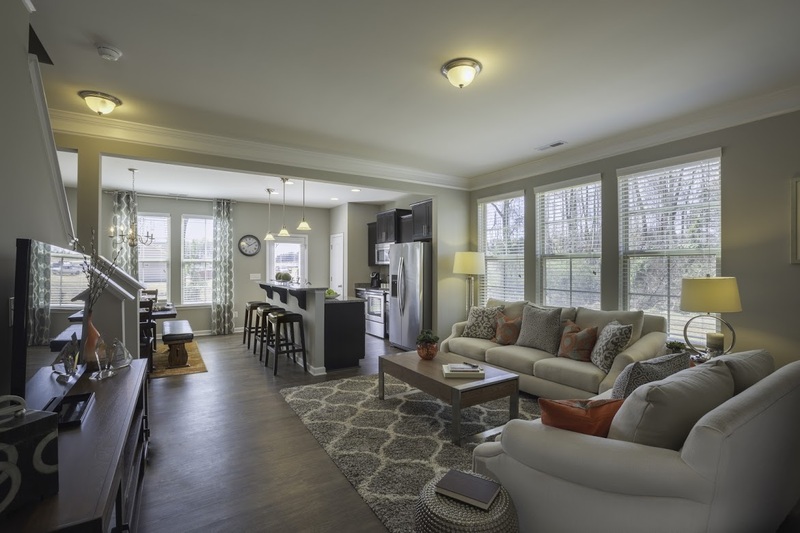 The Hayes floor plan offers a wide-open space for family gatherings and entertaining friends. 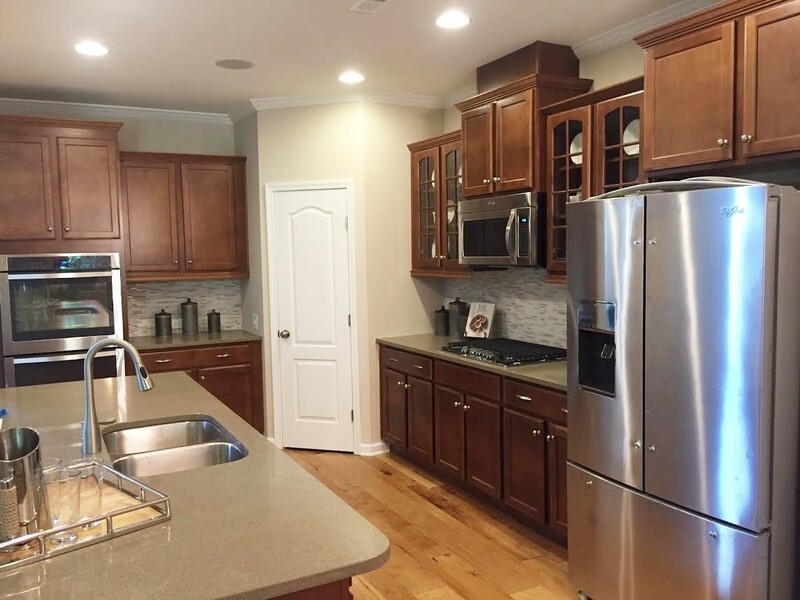 The gourmet kitchen is completely open and offers a extensive center island, beautiful cabinets, a built-in pantry, and appliances that will please the family chef! This incredible floor plan boasts plenty of picture windows allowing the sun to shine in and create a warm and inviting home. Directly from the breakfast nook, you can walk onto your screened-in porch. Perfect for your morning coffee! The home consists of four spacious bedrooms, two full bathrooms, and one half bath. The master en-suite is delightful with a walk-in shower, large soaking tub, double vanity, and a huge closet! With the square footage ranging from 2,678 to 2,710, you can customize the Hayes to fit your family perfectly! 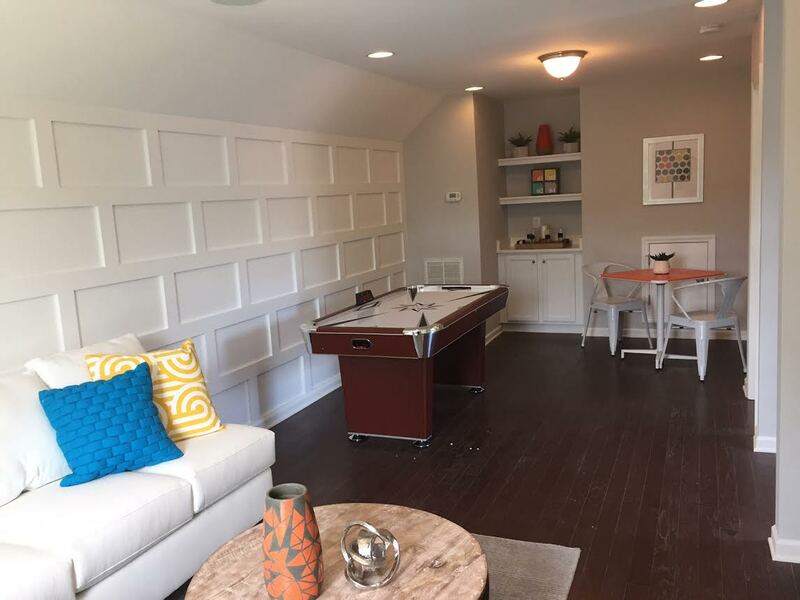 The Hayes also offers an upstairs game room which will be hit with the entire family! A gorgeous home throughout, as is the community in which it is nestled! Residents of Brightleaf at the Park are afforded the option of a membership at Brightleaf’s resort style clubhouse. The amenities include a Jr. Olympic size pool, zero-entry pool, kiddie pool, lighted tennis courts, 24-hour fitness center and playground. And if you enjoy nature, you can take advantage of the abundance of green space or take a stroll along the community’s nature trails. 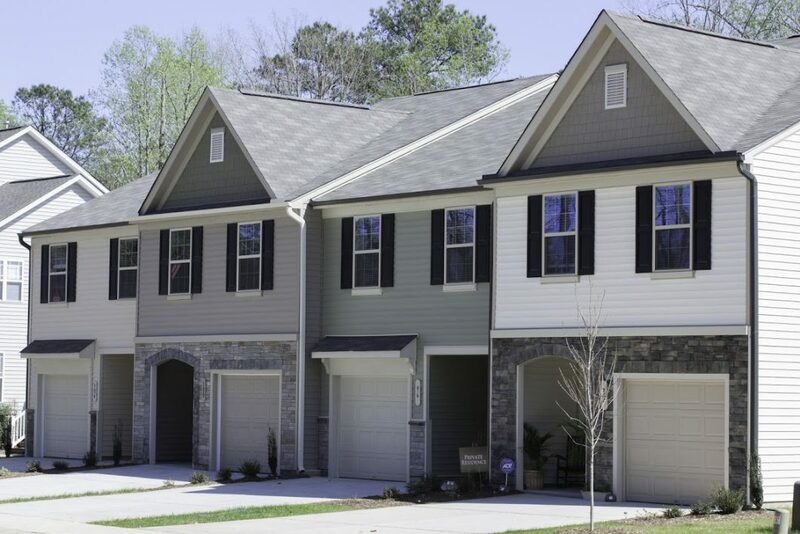 The community is also conveniently located near some of the best shopping and restaurants in the Triangle. We welcome you to tour the beautiful community of Brightleaf at the Park and learn more about building your dream home! 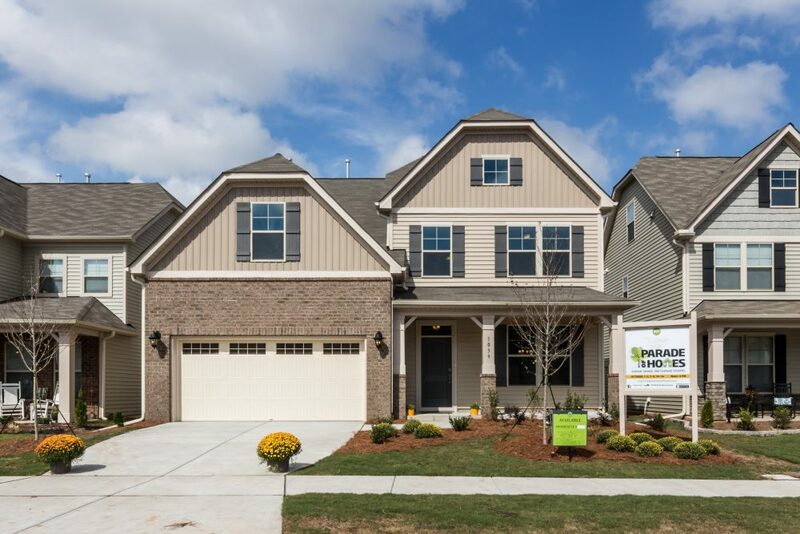 Welcome home to this gorgeous new home in the beautiful community of Brightleaf at the Park. From the custom cabinetry and elegant crown molding, to the glistening hardwood floors, 1805 Creighton Hall Way boasts spectacular details throughout. The 3,288 square foot home, built by CalAtlantic Homes, features a much sought-after open and bright floor plan. Crafted with a beautiful coffered ceiling in the dining room and a large vaulted family room w/interior fireplace & bookshelves, this lovely home is ideal for entertaining. The kitchen is considered the heart of the home, and any family chef will love creating culinary feasts in this gourmet kitchen. The hardwood floors extend into the designer kitchen, which features castle-style birch cabinets, stainless steel appliances, an oversized gas range, stunning tile backsplash, and beautiful granite countertops. This spacious home consists of five large bedrooms, and three full bathrooms, and a half bath! There is also a game room. Perfect for a large family! With an eye-catching tray ceiling and a scenic view of the spacious backyard, which boasts a screen porch and deck, the master retreat is bright and inviting. Speaking of spacious and inviting, the master en suite is the perfect spot to wind down after a long day. 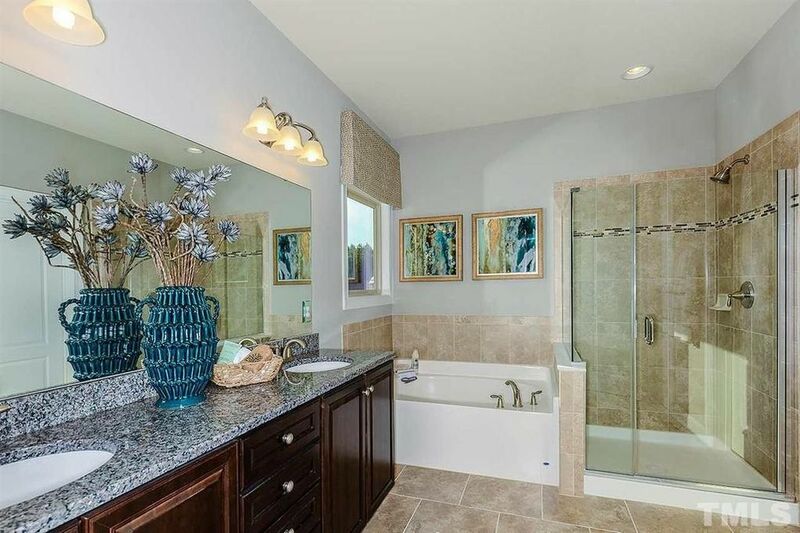 With a glass and tile shower, large soaking garden tub, and expansive granite dual vanity, this relaxing oasis is simply divine. Listed at $390,638, 1805 Creighton Hall Way is nestled in the Brightleaf at the Park community. Residents here are afforded the luxury of membership at Brightleaf’s resort style clubhouse. The amenities include a Jr. Olympic size pool, zero-entry pool, kiddie pool, lighted tennis courts, 24-hour fitness center and playground. We welcome you to tour 1805 Creighton Hall Way and the Brightleaf community. 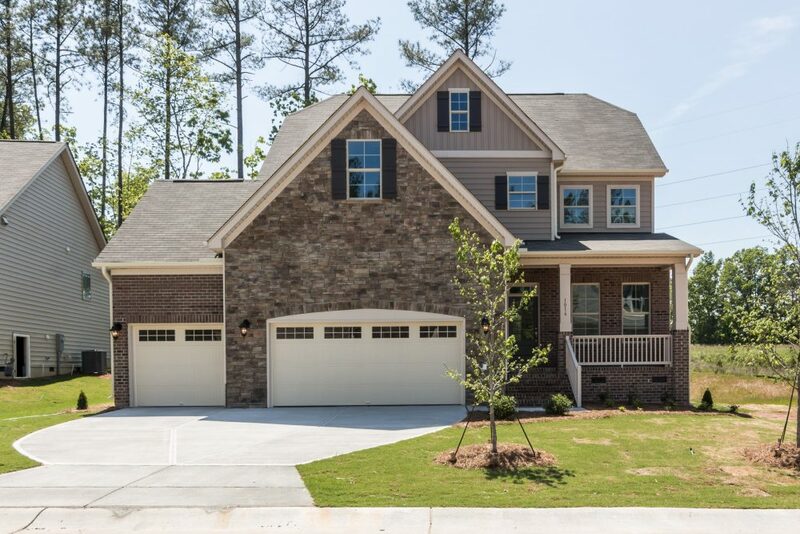 Welcome home to 1016 Lubbock Lane in Brightleaf at the Park in Durham! 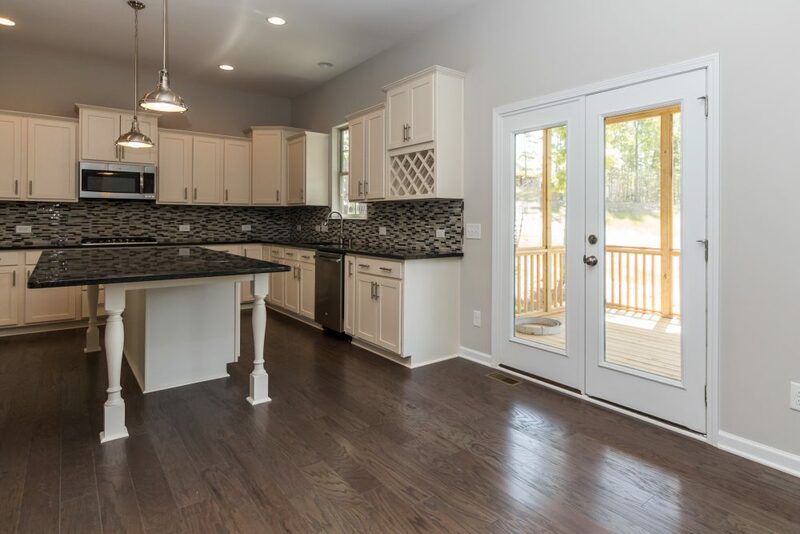 This brand new 2,924 square foot home is stunning throughout and that includes a dramatic kitchen that will inspire your family chef to create delicious culinary dishes! Large double doors are directly off the kitchen and eating nook that take you to a lovely screened-in porch. Perfect for family gatherings and barbecues! 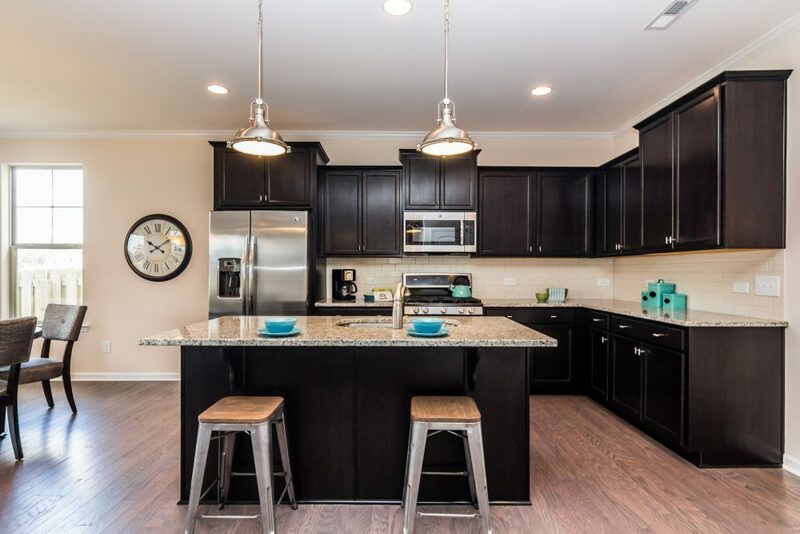 The gourmet kitchen is well equipped with stainless steel appliances, an abundance of custom cabinets, sleek granite countertops, a striking backsplash, an expansive center island, and custom modern light fixtures. 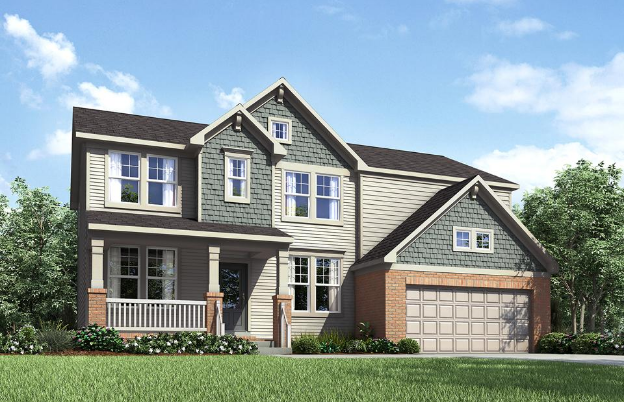 Level Homes is offering this gorgeous new home at $384,785. As you can see, the upgrades are impressive! There is an easy direct flow from the designer kitchen and eating area into this large great room with a grand stone fireplace! The hardwood floors run throughout the main living areas and the over-sized windows line the family room creating a bright and sunny home! 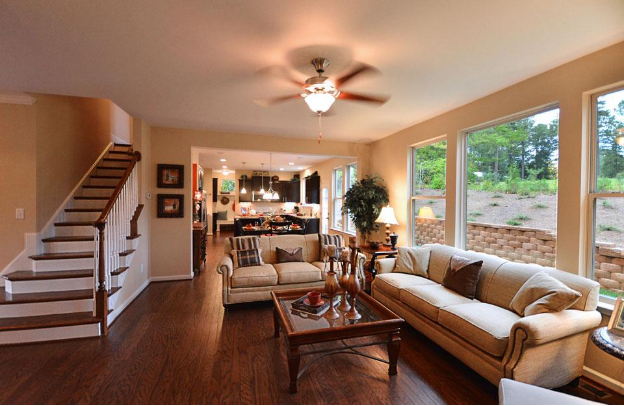 This lovely family home is modeled after the popular Caldwell floor plan. It boasts four spacious bedrooms, three full bathrooms and a half bath. 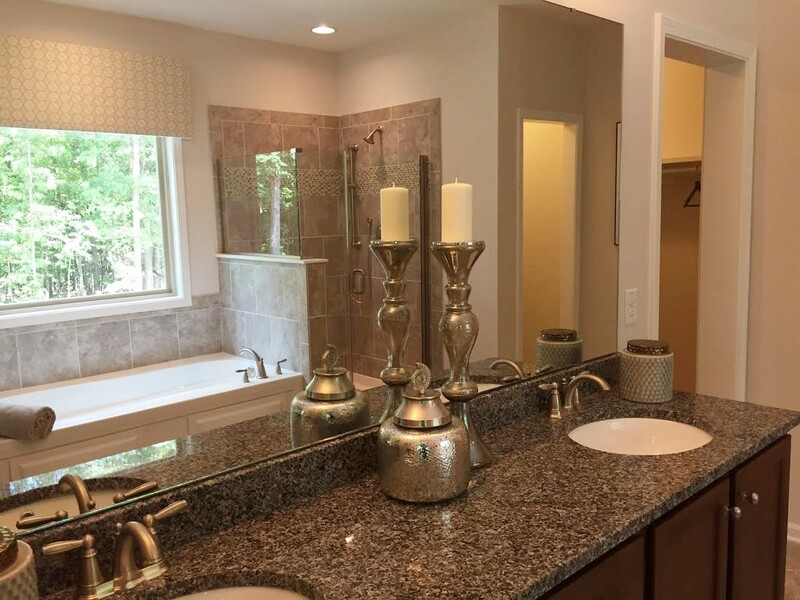 The master bathroom is divine with a long luxurious dual vanity with granite countertops, a glass and tile walk-in shower, and a deep inviting soaking tub! From the moment you see 1016 Lubbock Lane, you are struck by the new home’s stately appearance, its three-car garage, and brick and stone exterior. 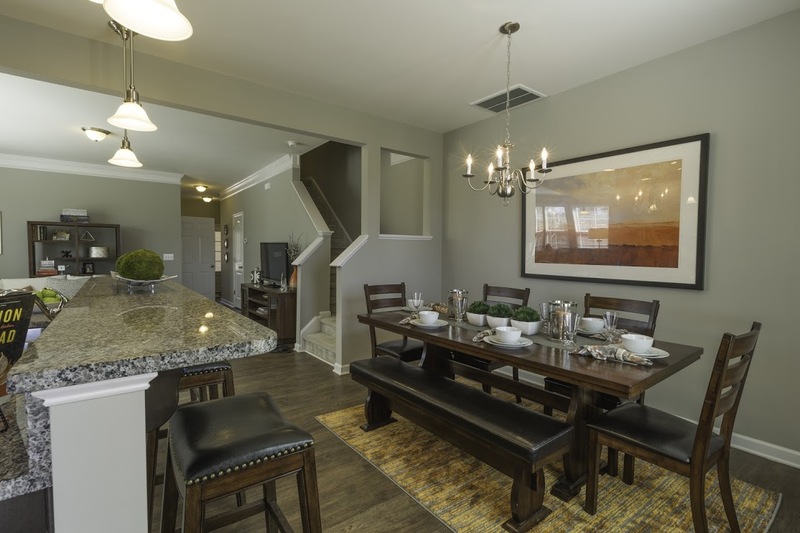 The home is beautiful, as is the entire Brightleaf at the Park community. Residents here are afforded the luxury of membership at Brightleaf’s resort style clubhouse. The amenities include a Jr. Olympic size pool, zero-entry pool, kiddie pool, lighted tennis courts, 24-hour fitness center and playground. We welcome you to tour this lovely home and the Brightleaf community. Make this townhome your dream home by customizing it to meet your every need, personal taste, and style! These attractive brand new townhomes are being crafted by premier builder, Dan Ryan Builders, in the beautiful community of Brightleaf at the Park. And the pre-sale opportunities are spectacular! 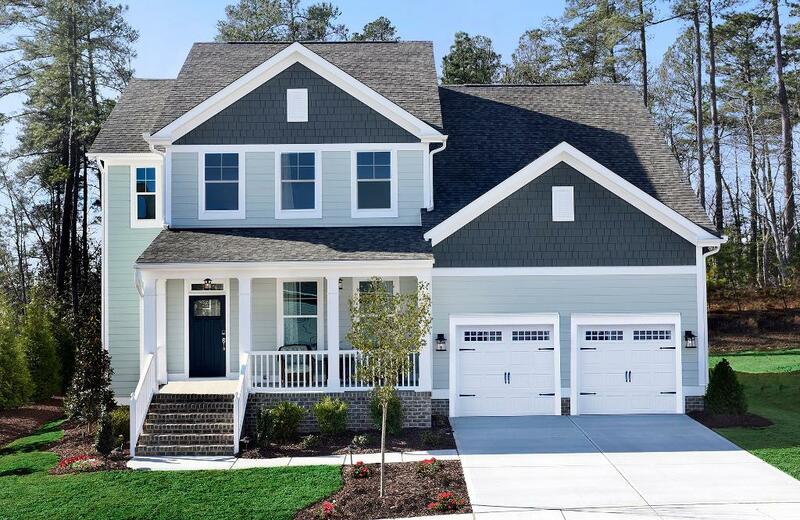 You can make this gorgeous home yours, by choosing your own color palette, flooring, and fixtures. The townhomes are very specious, spanning 1,600 square feet. They offer luxury details such as granite countertops, stainless steel appliances, lovely hardwood floors, upgraded light fixtures, and the much sought-after open floor plan. With a starting price of only $183,375, these beautiful townhomes feature three large bedrooms, two full bathrooms, and a half bath. 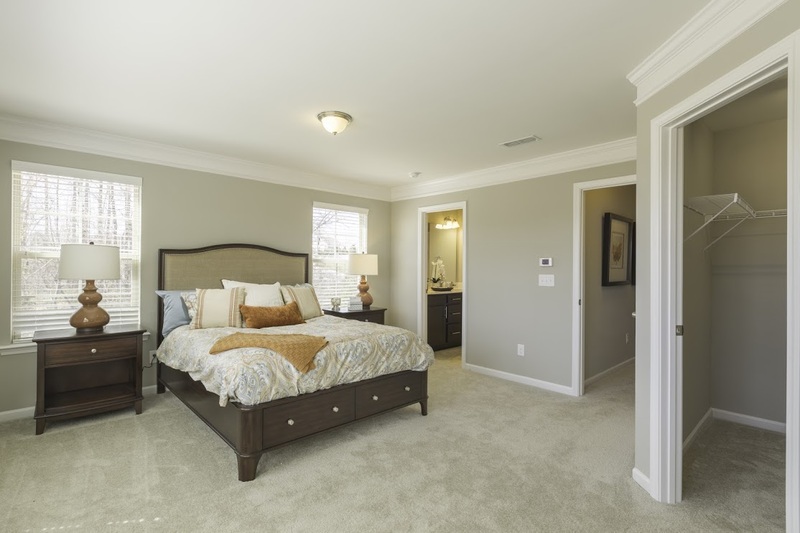 As you can see the master bedroom boasts a large walk-in closet and lovely ensuite bathroom. It’s just waiting for you to select the color scheme! With an attached garage, these homes are ideal for the buyer who wants a hassle-free luxury home! The future homeowner of these brand-new townhomes will enjoy the benefits of living in the family-oriented and nature-conscious community of Brightleaf at the Park. Residents here are afforded the luxury of membership at Brightleaf’s resort style clubhouse. The amenities include a Jr. Olympic size pool, zero-entry pool, kiddie pool, lighted tennis courts, 24-hour fitness center and playground. Come visit Brightleaf at the Park and learn more about these stunning townhomes that will be move-in ready this Fall! Make this gorgeous CalAtlantic Homes’ model, your dream home! The spacious five bedroom home was just completed for the much-anticipated June Grand Opening and it’s spectacular! This beautiful home is nestled in the family and nature-conscious community of Brightleaf at the Park. Residents here are afforded the luxury of joining Brightleaf’s resort style clubhouse. The amenities include a Jr. Olympic size pool, zero-entry pool, kiddie pool, lighted tennis courts, 24-hour fitness center and playground. 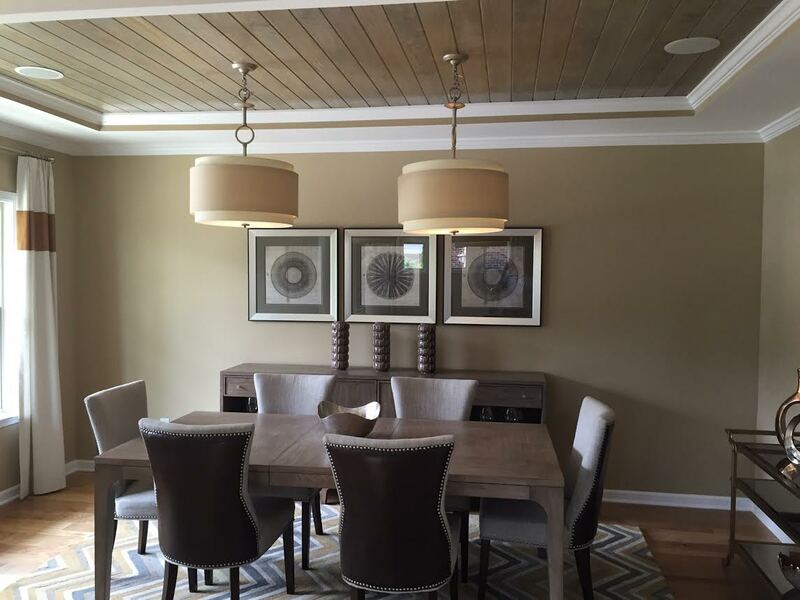 Showcasing CalAtlantics Homes’ outstanding quality and creativity, the model home, which spans an impressive 3,991 square feet, is graced with lovely architectural details, including the beautiful wood-paneled inlay dining room ceiling. CalAtlantic’s commitment to superior custom materials and upgrades is displayed throughout the home. The “Marlette E Floor Plan” also offers a gourmet kitchen that will be an absolute delight for the chef in the family. 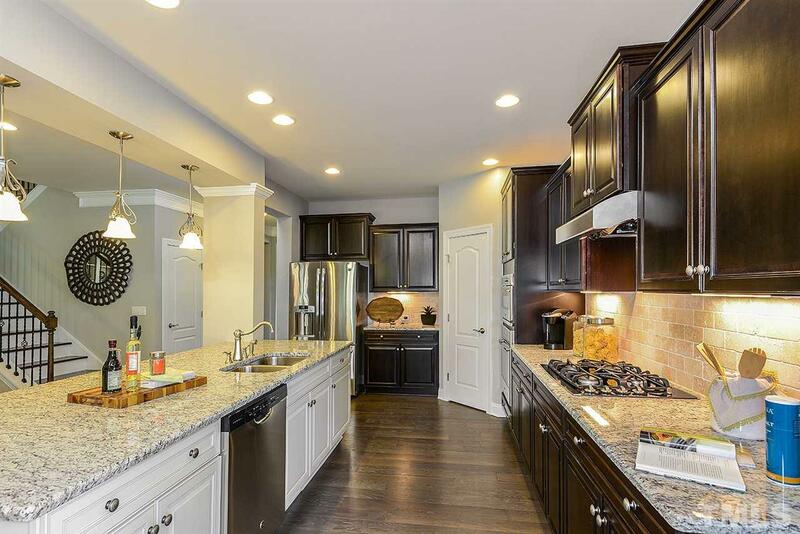 With stainless appliances, custom cabinetry, a large center island, and a sleek backsplash, this spacious and bright kitchen will be a favorite gathering place for family and friends. The lovely model home features four full bathrooms, including an inviting master retreat. 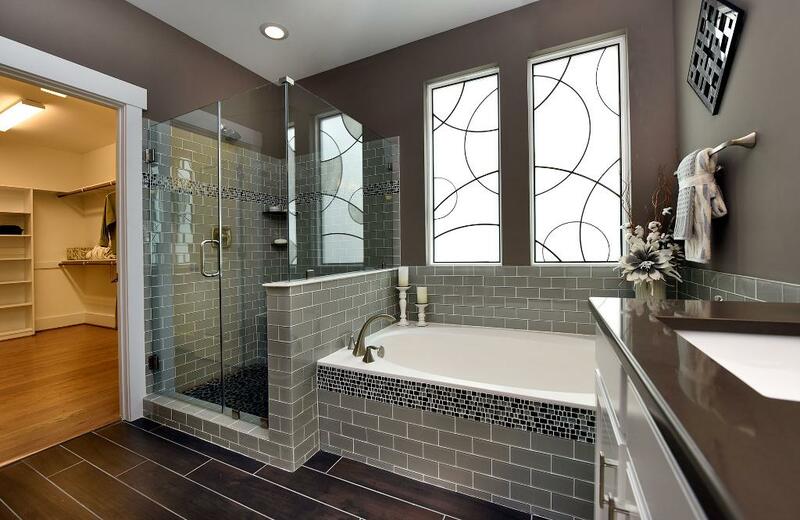 The spa-like bath boasts a large walk-in tile and glass shower, dual vanities, and a large soaking tub! But wait there’s more…the possibilities are endless with this space! A cool playroom! The ultimate man-cave! An awesome arts and crafts room! This space has endless possibilities! 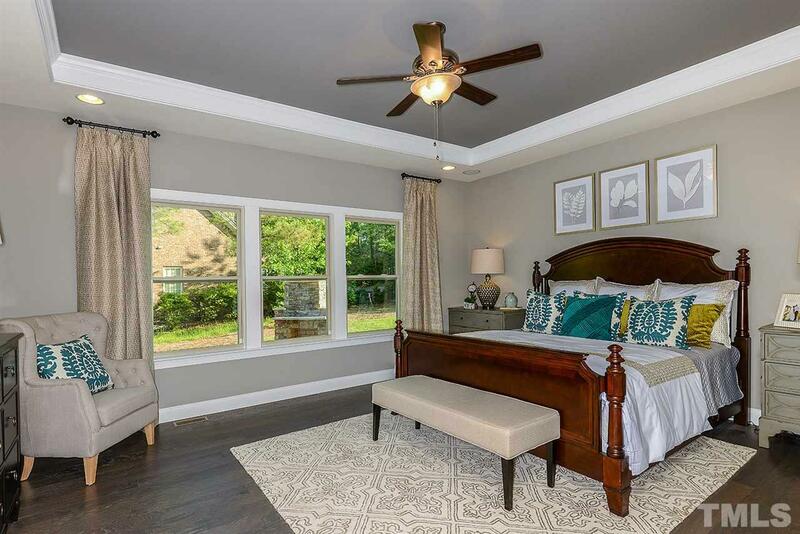 Along with the five large bedrooms, this home also features a third floor bonus room. Come tour this lovely model home and see how CalAtlantic Homes can build your dream home, in Brightleaf at the Park! 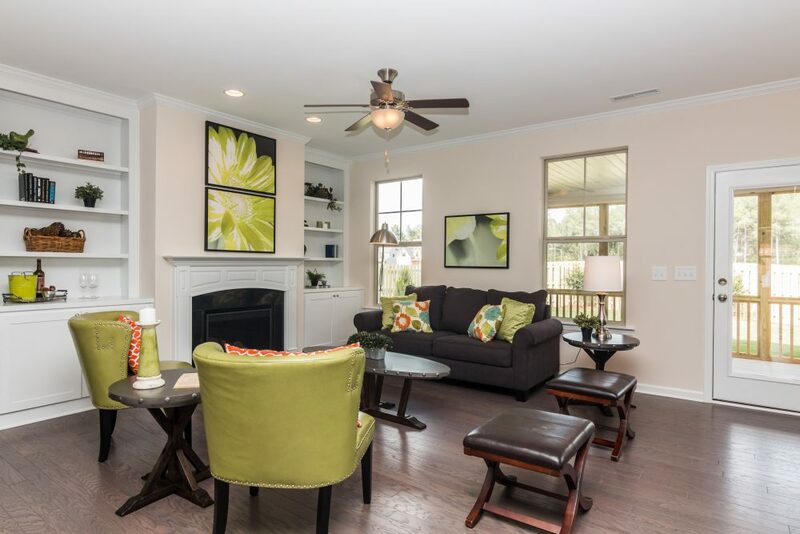 The beautiful Quentin floor plan offers gorgeous hardwood floors and numerous upgrades throughout the open floor plan. 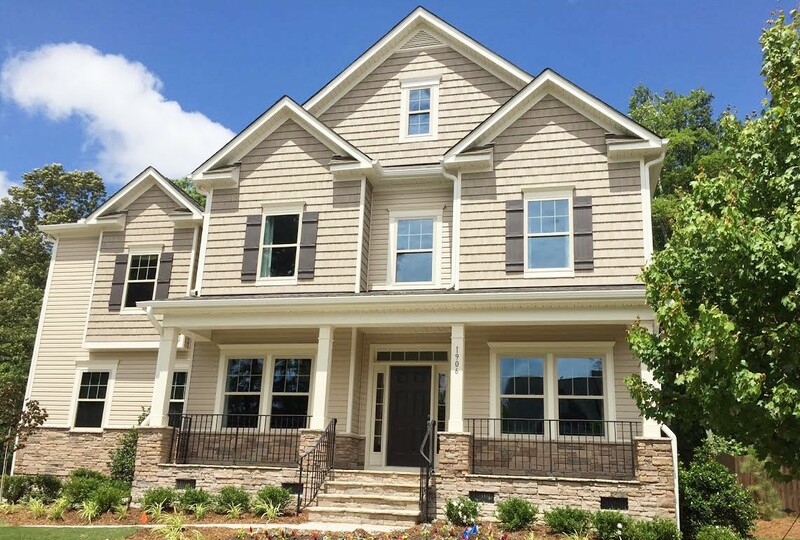 The Drees Home located at 102 Plano Drive is ready for you to move in! The two level home features a chef’s kitchen with a large working island that is open to the family room and breakfast area. 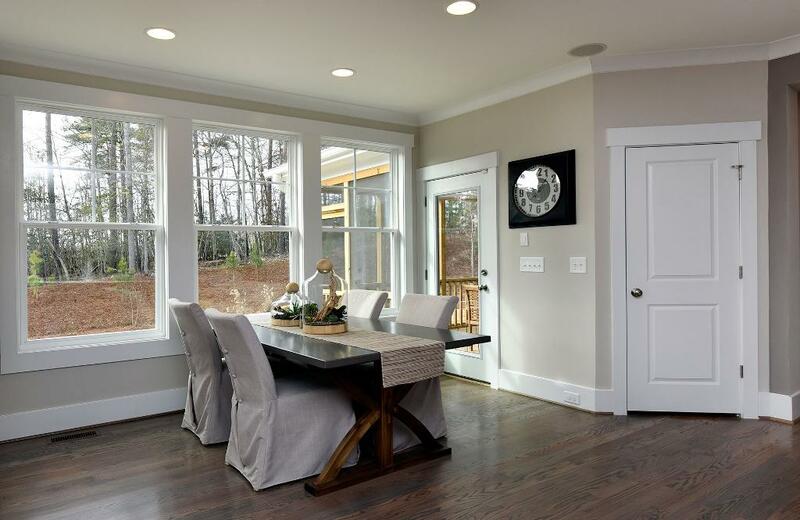 There is also a lovely screened-in deck off the dining area which offers easy access for indoor and outdoor living. The charming home, listed at $360,000, sits in a cul de sac in the beautiful community of Brightleaf at the Park. The nature-conscious community affords you the luxury of joining Brightleaf’s resort style clubhouse. The amenities include a Jr. Olympic size pool, zero-entry pool, kiddie pool, lighted tennis courts, 24-hour fitness center and playground. Spanning 2,633 square feet, this new home is perfect for a family. As you can see from the floor plan it boasts four spacious bedrooms and two full bathrooms and one half bath on the main level. 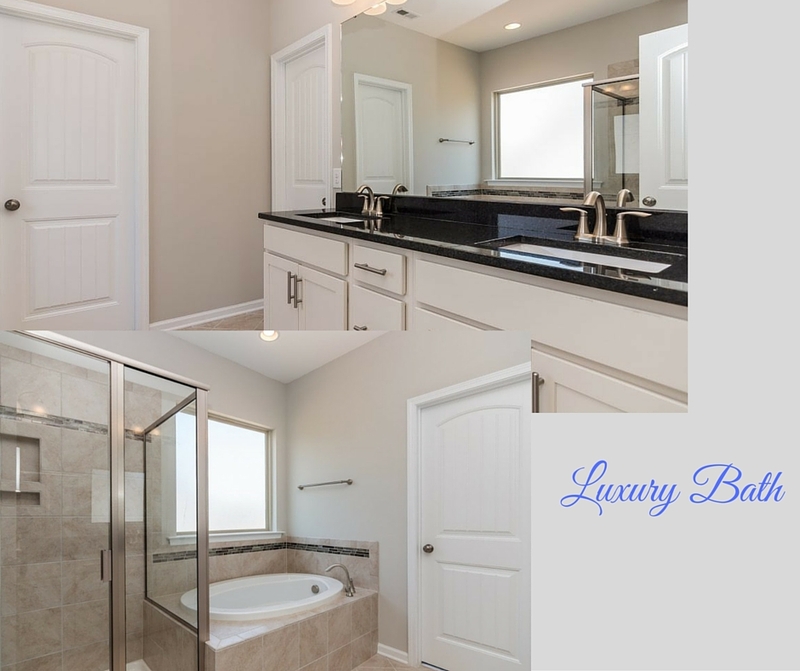 The owner’s suite is located on the second level and features a luxury bathroom retreat with a huge walk-in closet, dual sinks, a walk in shower, and soaking tub. Also on the second level, you’ll find the three additional bedrooms, a large bathroom with dual sinks, and the laundry room. The upstairs also brings the wow factor with a large bonus room. Perfect for the kids or a man-cave! This designer gourmet kitchen would give anyone inspiration to cook! The massive home, built by Level Homes, in the beautiful community of Brightleaf at the Park, is ready for you to move in and to whip-up your favorite meals. As you can see, only the best went into creating this chef’s kitchen including granite countertops, stainless steel appliances, gorgeous hardware, custom lighting, and rich cabinetry. 1019 Lubbock Lane immediately catches your eye at first sight with it’s stately exterior and curb appeal. The impressive home, listed at $394,500, is set in Brightlfeaf’s nature-consciousAudubon-certified community and affords you the luxury of joining Brightleaf’s resort style clubhouse. The amenities include a Jr. Olympic size pool, zero-entry pool, kiddie pool, lighted tennis courts, 24-hour fitness center and playground. If you enjoy nature, you can take advantage of the abundance of green space or take a stroll along the community’s nature trails. 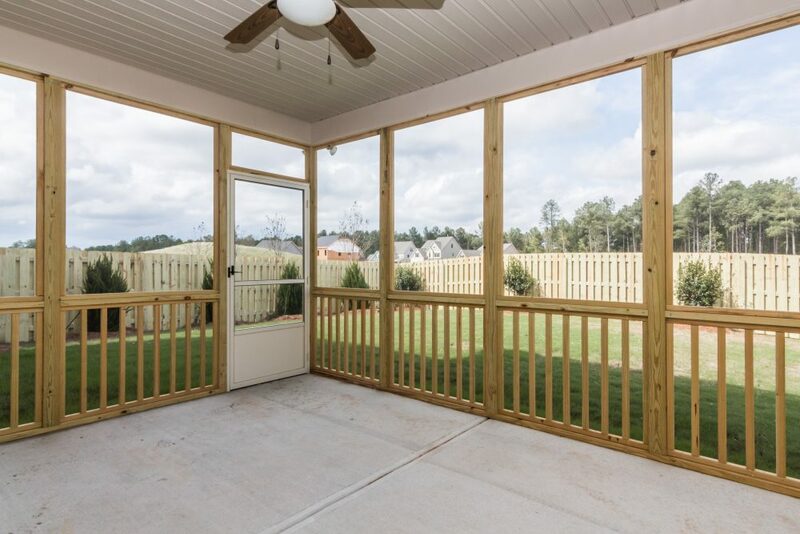 You can also enjoy nature by sitting and relaxing on this lovely screened-in porch! 1019 Lubbock Lane has it all. You can access this spacious porch, directly from the living areas, which is an amazing feature to entertain family and friends. The 3,435 square foot home offers a popular open floor plan with an easy flow from the kitchen to the living areas, including the large family room featuring a fireplace with marble inlay. The Caldwell features six large bedrooms, including a first floor guest suite. The home boasts four full bathrooms, all of which have lovely tile flooring, custom cabinetry, and tons of counterspace. And just in case that’s still not enough space, this home has a finished third floor and a three car garage! We welcome you to visit this spacious home in Brightleaf! 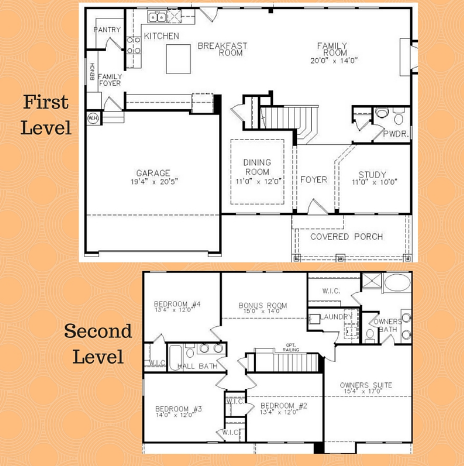 The popular Brianna floor plan is ideal for family gatherings and entertaining! 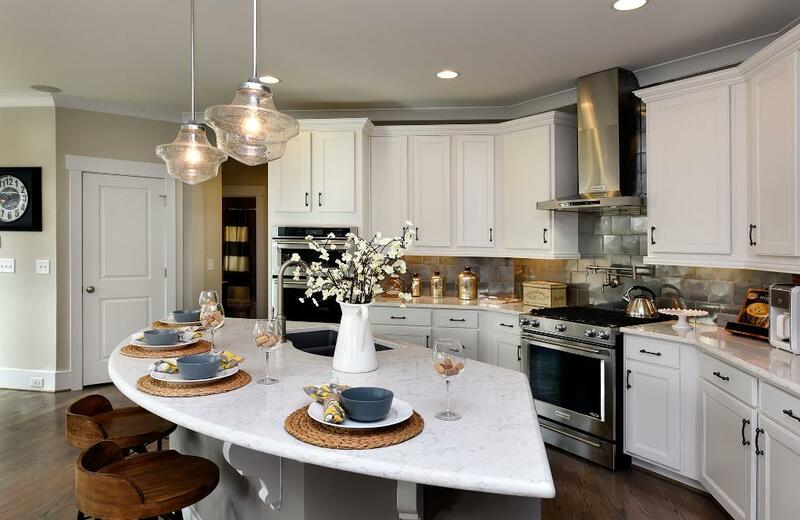 As we all know, the heart of the home is the kitchen and family room, and the Brianna by Drees Homes brings it all together with this open, light-filled “living triangle” design. 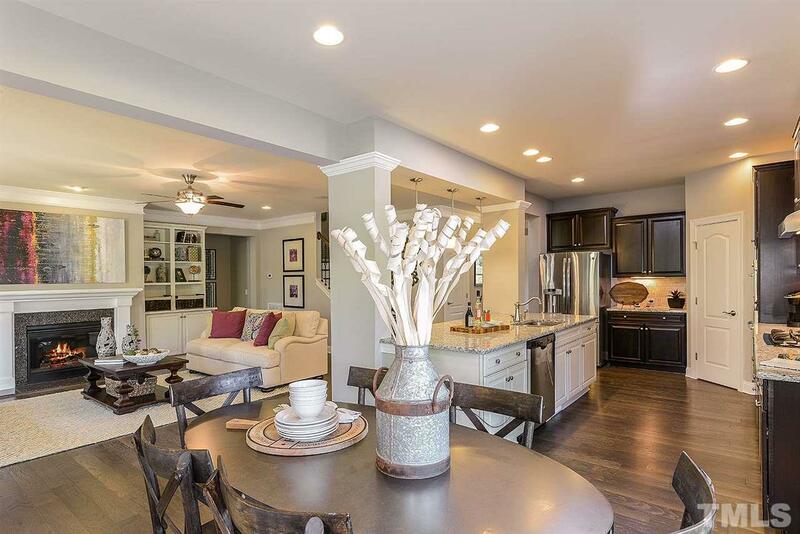 With gleaming hardwoods running throughout, the kitchen, the informal dining area, and the living room are all connected to make entertaining a dream. And speaking of a dream, check out his dreamy kitchen! Imagine the family chef cooking tasty delights in this gourmet kitchen complete with a large center island, stainless appliances, custom cabinetry, and a walk-in pantry. The Brianna, which starts at $358,200, also features a lovely covered patio off the living room, or you have the option of an extended outdoor living area with a fireplace. The large home spans 2,764 square feet of living space. It consists of four large bedrooms, three full bathrooms, and one half bath. The inviting owner’s suite is on the main level and boasts a tray ceiling and two walk-in closets! The master bathroom retreat has a spa-like feel with a large dual vanity, oversized glass-walled shower, and a soothing garden. Upstairs, you’ll find up to three spacious bedrooms, a loft area, flexible game room, and plenty of additional storage space. A picture perfect home to be nestled a lovely nature-conscious community! Brightleaf at the Park affords you the luxury of joining Brightleaf’s resort style clubhouse. The amenities include a Jr. Olympic size pool, zero-entry pool, kiddie pool, lighted tennis courts, 24-hour fitness center and playground. We welcome you to visit Brightleaf at the Park and start building your Drees dream home! Spacious, Open, and Bright! 3419 Flat River Drive, in Brightleaf at the Park, has it all! The gourmet kitchen is equipped with granite countertops, stainless appliances, ample food prep space, and a large center island. The breakfast nook is spacious and bright! The new home, built by expert designers Level Homes, spans 2020 square feet and is listed at $264,900. This charming new home is nestled in the nature-conscious community affords you the luxury of joining Brightleaf’s resort style clubhouse. The amenities include a Jr. Olympic size pool, zero-entry pool, kiddie pool, lighted tennis courts, 24-hour fitness center and playground. 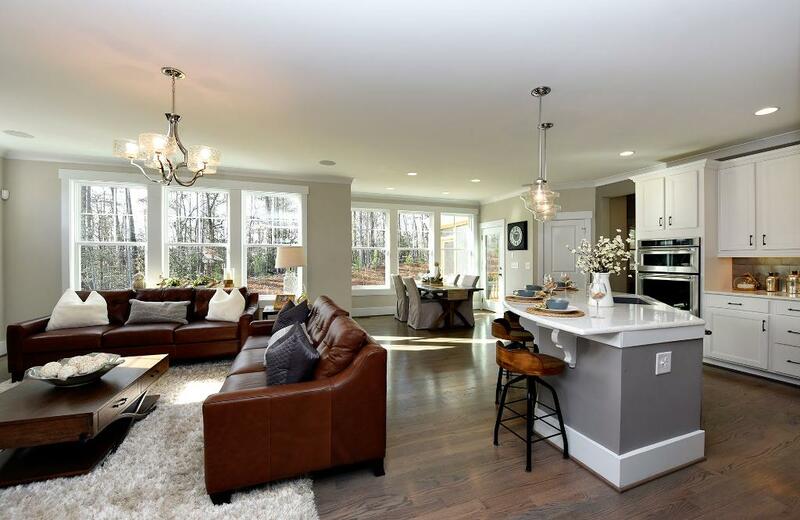 Enjoy the elegance and convenience of this open floor plan! The living room is connected to the chef’s kitchen and eating area, creating an easy flow for family gatherings and entertaining! The finishes are gorgeous! 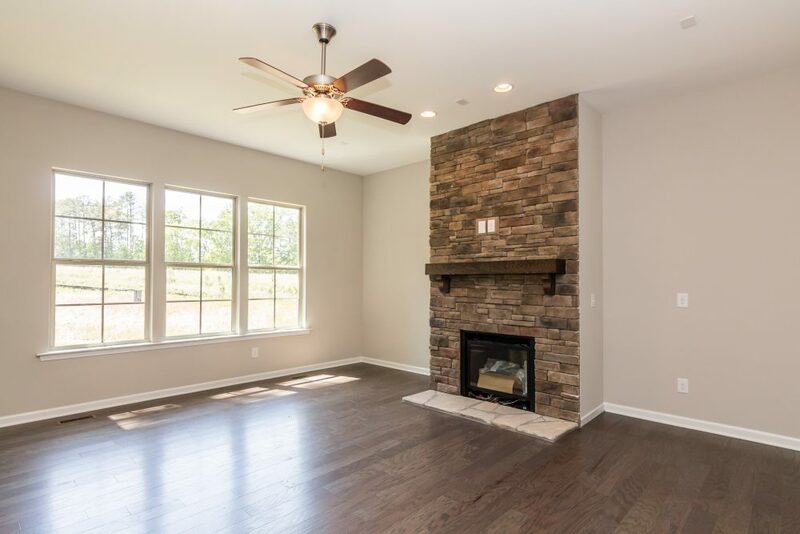 The wood floors extend throughout the main level living areas and the fireplace is very inviting. 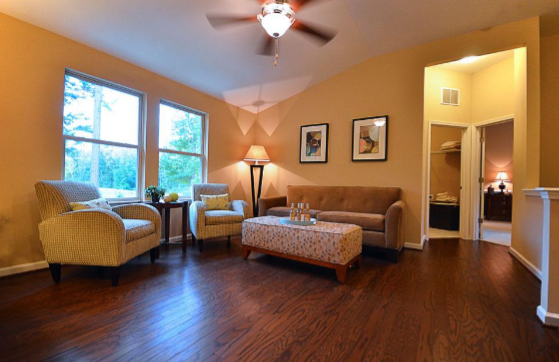 From the living room, you can step out onto the expansive deck overlooking a large backyard! The home consists of three spacious bedrooms and two full bathrooms. The master bedroom is on the main level and boasts an impressively inviting bathroom retreat with a large soaking tub and walk in shower!